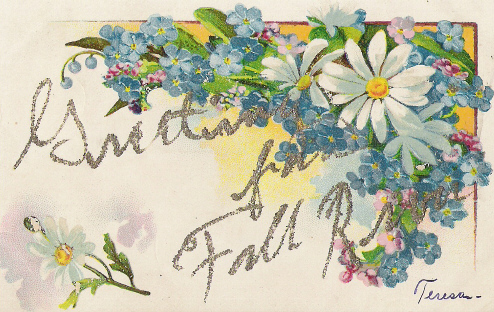 Old Fall River can still be found in the happily inexpensive postcard collectible. There was scarcely an important building, monument, park, or street scene which evaded the camera’s lens. 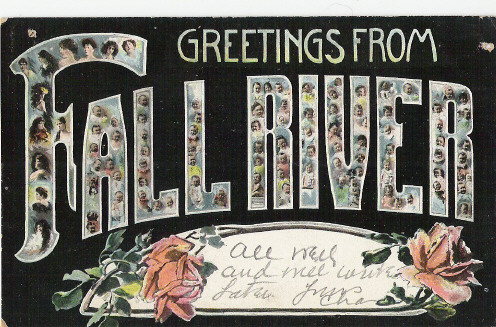 Many of the cards were printed in Germany and Britain, and some are extraordinary testimony to the lithographer’s skill. 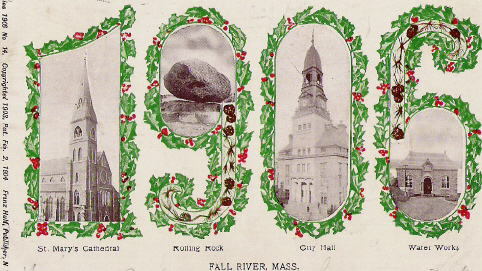 Along with the usual city edifices and scenes, the New Year’s postal, featuring famous city sights and sites framed within the new calendar year, the homemade glitter cards, and cards promoting a city by name are desirable to collect. Most can be easily procured in the $4-$8 range. The candid shots of street life, featuring average citizens can give a real feel for the era and details of clothing, architecture and landmarks of the place and time.